Tuesday Special : !!! !Turkey Apple & Brie Panini!!!! 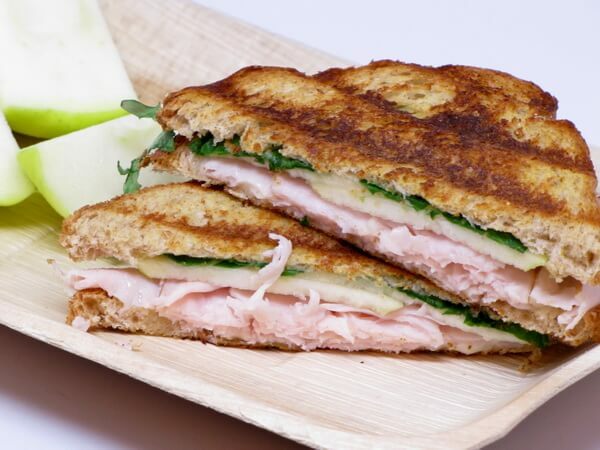 Oven roasted turkey breast, Gouda cheese, a mixed apple compote, arugula & baby spinach, and spicy brown mustard, pressed in hearty wheat berry bread!!! !